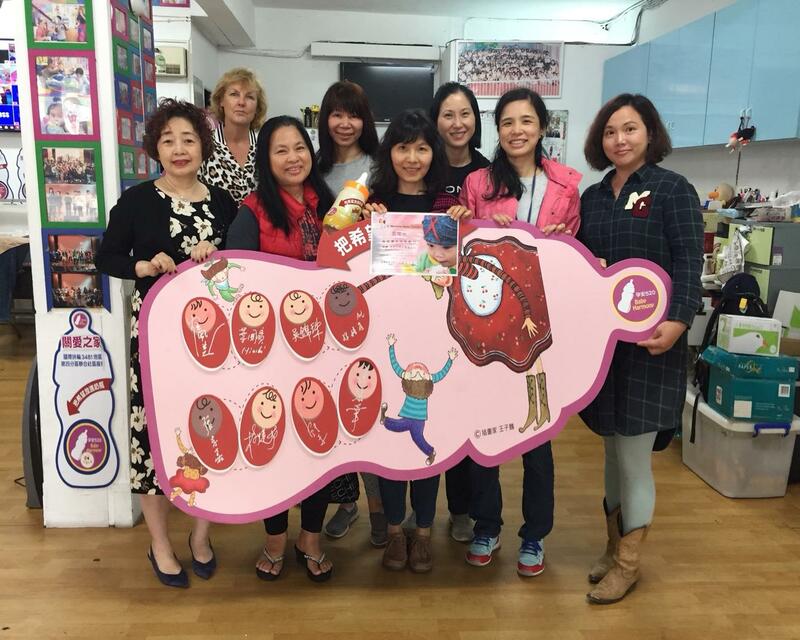 To show our care about the humanitarian aid before the International Woman’s Day, the RC Taipei spouse committee organized a service event to Harmony Home Taiwan on February 27. 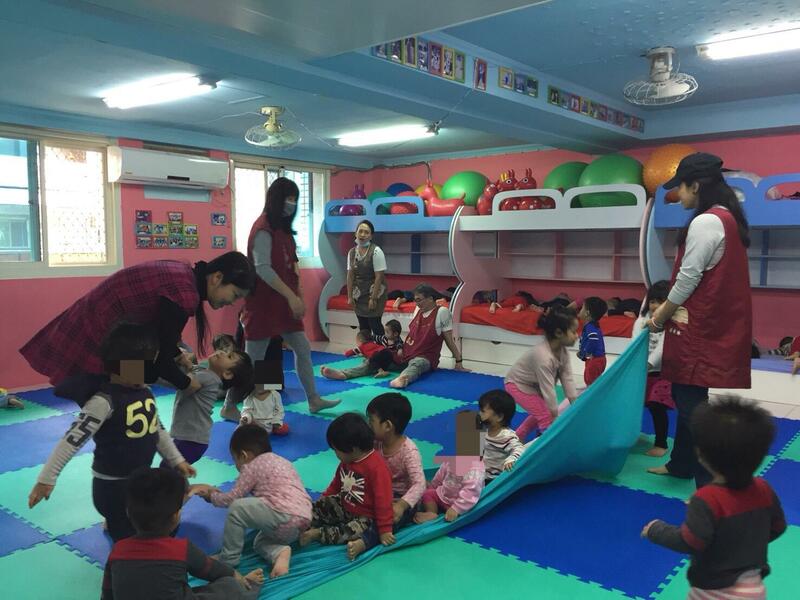 Harmony Home Taiwan is now a healthcare and shelter which takes care over 150 non-Taiwanese children and their mothers from unlawful residents like migrant workers with various difficulties. 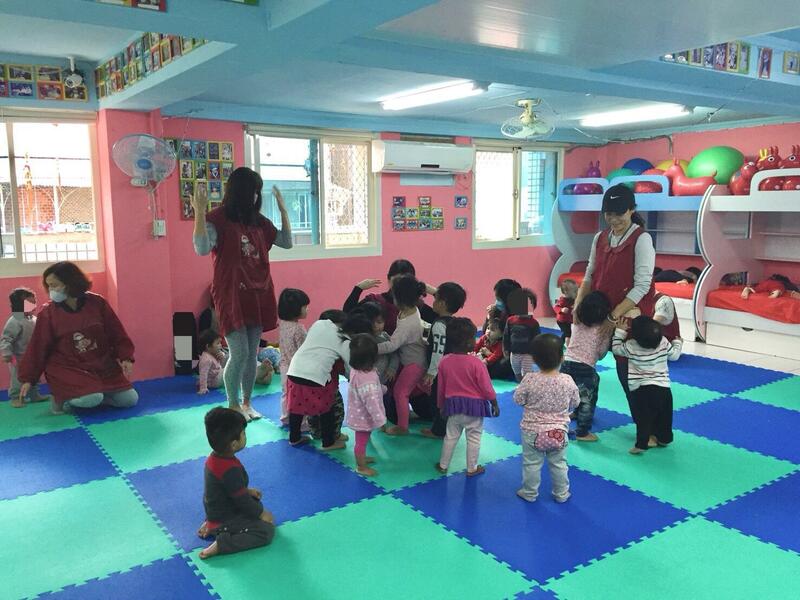 After a pre-visit to the site, we decided to serve by bringing along a children’s program for 1-3 years old kids which they have NEVER had such an experience before in that small room. It began with a video briefing of Harmony Home at 10am and a warm greeting from the founder Ms. Nicole Yang. We donated 8 big cans of formula milk for children before starting our shelter service. 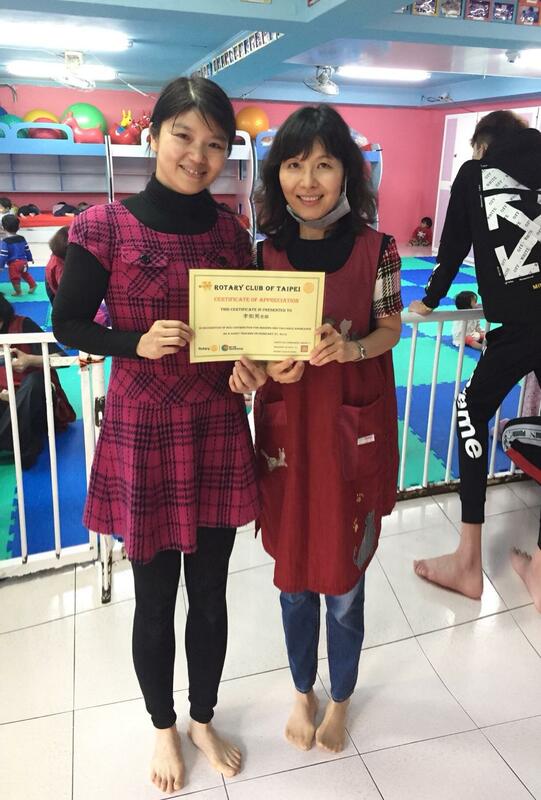 Lucky us a kindergarten principal Ms. Lee Ju-Nan 李如男 came to lead the children program. At first most kids came asking for the big hugs. Some of them were still in bed. After a few games they all went crazy and were running around with laughters and happy faces. At the end we gave our special thanks to Ms. Principal for her kind contributions then helped with the lunch-serving. Before leaving we spent some time with the cute little infants upstairs. It was such a heart-warming and meaningful event. We’d like to come back again and make it as a regular service if possible. Hopefully RC Taipei can do something more or different on this issue in the future.